While China builds roads, rail, pipelines, airports, seaports, and factories across Africa, the United States finds itself resigned to selling weapons and stirring up conflicts between and within African states to disrupt the rise of the continent independent of Western hegemony. Part of stirring up conflict involves political subversion. In Uganda, the US is propping up an opposition leader who even at the most basic, superficial level fails to conceal his allegiance to and dependence on Washington. 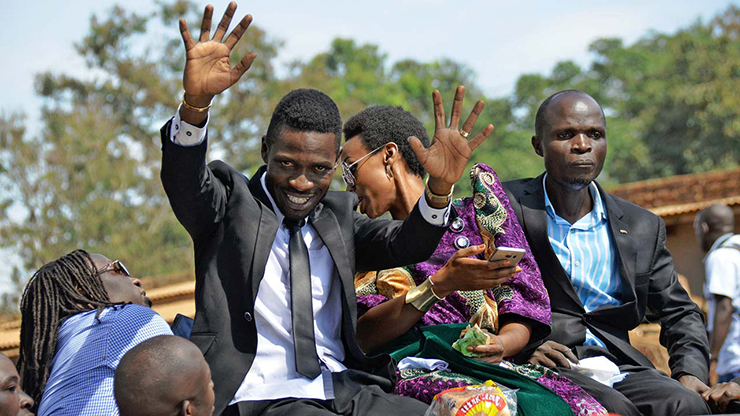 A media circus has developed in the West around Ugandan pop star turned politician Robert Kyagulanyi Ssentamu – referred to by his stage name as “Bobi Wine” – portraying him as a rising opposition leader seeking the overthrow of incumbent Ugandan strongman, President Yoweri Museveni. While depicted as a Ugandan “opposition leader” by the Western media, fewer cases of Western meddling in African politics have been more transparent. The executive education program, Leadership for the 21st Century: Chaos, Conflict and Courage, delves into why we lead the way we do. The program offers a stimulating and challenging curriculum that invites you to learn how to exercise leadership with more courage, skill and effectiveness. Upon returning to Uganda, Wine’s political supporters violently attacked President Museveni’s motorcade after which he was arrested and charged with treason. The authorities say opposition lawmakers led supporters to attack the president’s convoy with stones. Bobi Wine’s driver was later shot dead. The charges are widely viewed as politically motivated and aimed at silencing a prominent critic of the president. The US decried the “brutal treatment” of MPs, journalists and others by security forces. By September, Wine would fly to the US to allegedly receive “treatment” for his “injuries,” however most of his time was spent consorting with the US State Department, DC lobbyists, writing columns for the Washington Post, and grandstanding with visible US backing behind him. When people are allowed to speak, allowed to protest, to organize; when terms are limited and elections are transparent; when the press is free and officials are held accountable, there are no Musevenis. This is why we are seeing increasing censorship — including blackouts of broadcasts by Voice of America, among other heavy-handed attempts to keep Ugandans in the dark. Voice of America – of course – is US State Department-funded and directed media representing US special interests. Here, Wine suggests that without US State Department narratives, Ugandans are left “in the dark.” While depicted as a democratic opposition leader, it is safe to say any opposition movement being led from “the dark” by foreign special interests, is entirely undemocratic. Other media sources promoting Wine include The Nation Media Group, majority owned by foreign foundations like the Aga Khan Fund for Economic Development and openly partnered with Western foundations like the Bill and Malinda Gates Foundation and the International Press Institute. Like in virtually every other nation around the globe the US seeks influence within, the US is doing this in Uganda not by investing in genuine economic, political, or even military partnership, but instead by simply co-opting or overwriting the nation’s institutions, including its media. Upon returning to Uganda, Bobi Wine was again promptly arrested – with treason charges seeming somewhat understated now considering Wine’s open conspiracy with the entirety of Washington’s regime change apparatus. Wine’s lawyer is notorious lobbyist Robert Amsterdam who has worked with other US-sponsored agitators ranging from Thai billionaire, fugitive, and mass murderer Thaksin Shinawatra, to Russia’s Mikhail Khodorkovsky. We will be meeting with Congressmen, Congresswomen, members of various departments, the State Department, included, and we will be providing them with details of what has been happening in Uganda, the brutality, the truly criminal activity and violations of human rights that are occurring daily. And we want the American taxpayer to know that the American taxpayer is funding this. The military equipment we are supplying to Uganda is being used in a war of terror against Uganda’s citizens. Yet Uganda’s military receives the vast majority of its weapons from Russia and China, not the United States. What “equipment” Uganda would specifically use to “torture” the Ugandan population is never expanded upon by Amsterdam. The most likely reason for this omission of seemingly crucial details is because Amsterdam’s claims are fabricated. This is not an isolated incident. Uganda has a storied history of political violence, an ongoing history the West has largely ignored. 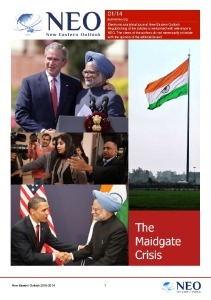 We cannot ignore it any longer. We cannot ignore Africa any longer. Within the last few weeks the German Chancellor was touring Africa, thank God. The Chinese have invited heads of state from all over Africa to Beijing. China’s progress in Africa over the last decade has prompted an American reaction. Instead of creating alternative programs for building infrastructure and accelerating development, Washington has opted to instead overturn the entire game board at both Africa and China’s expense. 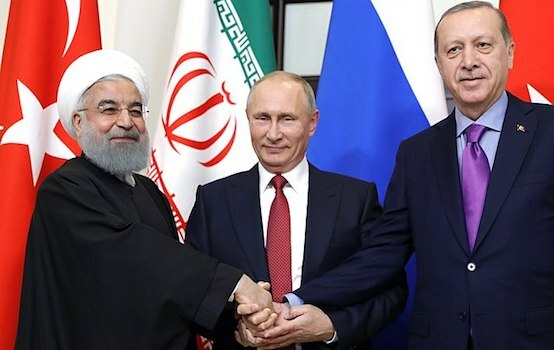 It is in no way a coincidence that Amsterdam’s prescription to coerce Uganda politically focused on a now familiar formula of sanctions, including those designed specifically for Russia but now liberally used around the globe against all obstacles to US geopolitical ambitions. Amsterdam would cite the Magnitsky Act by name and call on the US to immediately suspend nebulous US military funding Amsterdam failed to either qualify or quantify. Clearly, with Wine sitting in Washington DC, his DC lobbyist openly admitting they would both be consorting with members of the US Congress and the US State Department, and Wine even afforded space in the Washington Post for an op-ed, obvious accusations of Wine’s role in facilitating foreign meddling have already begun to spread within Uganda and beyond. Now a lot of comments have been made with people saying well because he’s got an international lawyer somehow there’s some foreign agent involved. There ain’t no foreign agent involved. There is however something to note. And that is that the Museveni regime is a foreign agent of the American military with respect to its activities in Sudan and Somalia. And therefore it is Washington that has the ultimate control over what’s going on in Uganda today. While it is true that the Ugandan government has bent to US demands particularly regarding US ambitions in Sudan and Somalia, it is clear that further pressure is being placed on the Ugandan government by the US through the use of opposition figures like Bobi Wine. Political projection – accusing President Museveni of being a foreign agent of the United States while Bobi Wine literally sat in Washington DC and openly admitted to consorting with the US Congress and US State Department – is rarely so transparent and hypocritical. The Museveni regime is taking a page from Mr. Putin’s book. They torture you, they poison you. They poisoned people in England and then they call it false news. Uganda’s history as a British colony that would gain a tenuous independence before being pulled back and forth between great powers throughout the Cold War and up to and including today has undoubtedly left the nation with much to be desired in terms of governance. However, the governance of Uganda is the sole business of the people of Uganda. For Bobi Wine to flee his nation and seek the aid of foreign sponsors notorious for their multitude of global, ongoing wars, torture, human exploitation – including the destruction of multiple nations in Africa specifically – and political meddling and subversion worldwide, is all the proof the Ugandan people need to know that – whatever they may think of President Museveni – Bobi Wine is worse. For Africa as a continent, the danger of US meddling and attempts to reassert Western control through proxies and political and institutional subversion, remains omnipresent. Knowing the methods the West uses to accomplish its modern day colonization is the first step in defeating it.